Rahul.." Una canciòn Monsoon "
Todo en movimiento girando por una canciòn. A big thanks Raj for that nice comment and am happy it brought back memories ! That was really lovely, Rahul! :-) I could just visualize it! Love the pic...nice weave Rahul. The poem is as beautiful as the aroma that rises from the earth when it rains, the subtle sound of the falling rain and the light reflected in the tiny droplets in my garden. A huge thanks Padmaja, and you added more value to this little poem with those remarks! how lovely :) i really felt like i was standing in the rain, on reading this! Thanks a lot Ash for such a nice remark:) Feel honored! 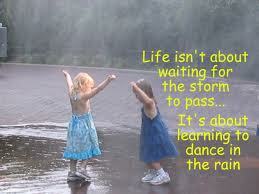 I would love to dance in the rain .. beautiful poem sir. A big thanks Jeevan for that nice remark! I love the rains-fitting tribute to the season! Lovely. It reminds me of childhood memories of getting drenched in rain and paper boats. 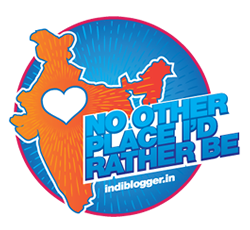 Welcome to my blog Sabyasachi to this blog and am grateful to you for those kind words! This is such a lovely song....have a great week! Lovely One.. Could feel the magic of rain in these words..
Sonia readers like you make my day!A sincere thanks for those words! I feel like doing the rain dance :). Am delighted if I could make you feel like dancing, Rachna:) A big thanks! Hi Rahul, thanks for your comment...when did you visit Spain? I would love to hear more about your experience there. Beautifully penned poem, you make the monsoon sound so romantic. i could just picture every line that you wrote come to life in a surge of song and dance! A sincere thanks Sam, for constantly flowing stream of nice words from your pen. I visited Spain almost a decade back and your lovely post refreshed my memories of the land of football crazy, tapas loving, bullfights and flamenco dancers! I too love the rain.The poem is apt, and we also have rain, after so many months, though it has cooled down, the nights are still pretty hot. Beautiful words... now even i feel like writing a monsoon poem!! Am grateful to you for those very kind words! Wow! How fabulous and blissful rain… Love this poem dear :) Enjoy the monsoon. A big thanks Alka:)Your words mean a lot! A sincere thanks Vinati, that you liked the first brush with monsoon:) Look forward to your lovely writing always! Beautiful and the words fallen petals in common in both our poems. Loved it! :d Felt like singing and dancing with loved ones after reading this poem!!! lovely Rahul sir! Ahha Rahulji! Bought so many memories. Rains, how much we need them. It kind of cleanses the stress too, and make you go all postitive and clean and fresh. And yes ofcourse the smell of the mud. Bliss :-) Beautiful words! A perfect description of monsoon. Indu, it is a pleasure to see you on my blog and am grateful that you took time off to read so many of my posts:) Am honored indeed! Great post. Love the photo and words. Monsoon is gonna be start very soon here too. Thats a loving and meaningful picture.. Thanks a lot Pria:) Nice to see you back after a while! Wish it rains, Puji to enjoy all the pleasures associated with it:) Thanks a lot! A huge thanks, Valli for your nice comment! Hi Rahul, I am wondering why I missed reading such a wonderful poem. This is simply outstanding. I am becoming a HUGE fan of your writing. A bow to thee, Rachna for that very elating comment! Such a beautiful, visual poem dear Rahul. Rain is as deficient as void due your absence from blogging world , Zephyr:( Good to see you back! Thanks a lot Dipthi for that kind comment! Rain always bring happiness with it.. but in Mumbai, you don't feel the same .. nostalgic moment reminding me old days..! Please stop by sometime, Would appreciate your feedback! Agree Nitin, memories of good old days are always sweet! You have a nice blog! beautiful... very well described..anyone wud fall in love with monsoon!